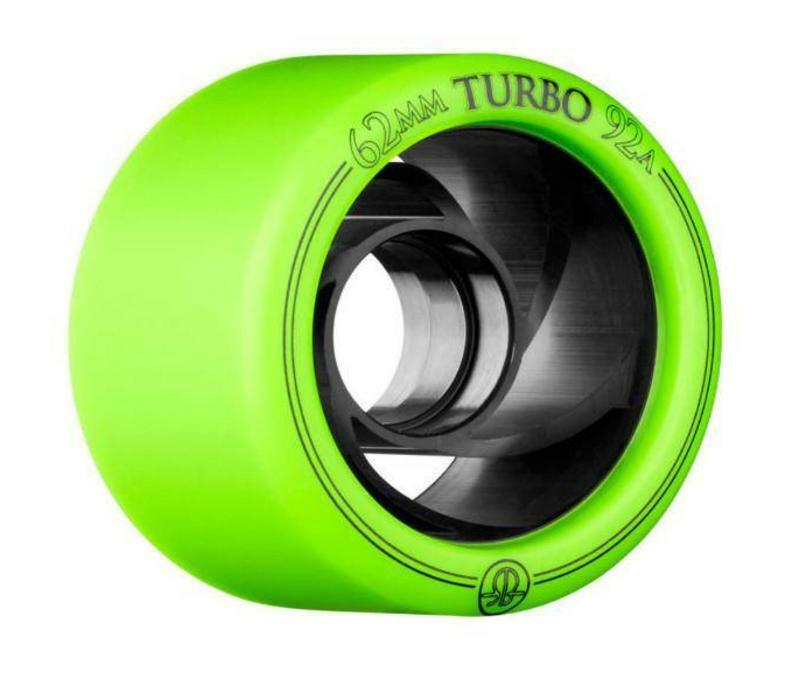 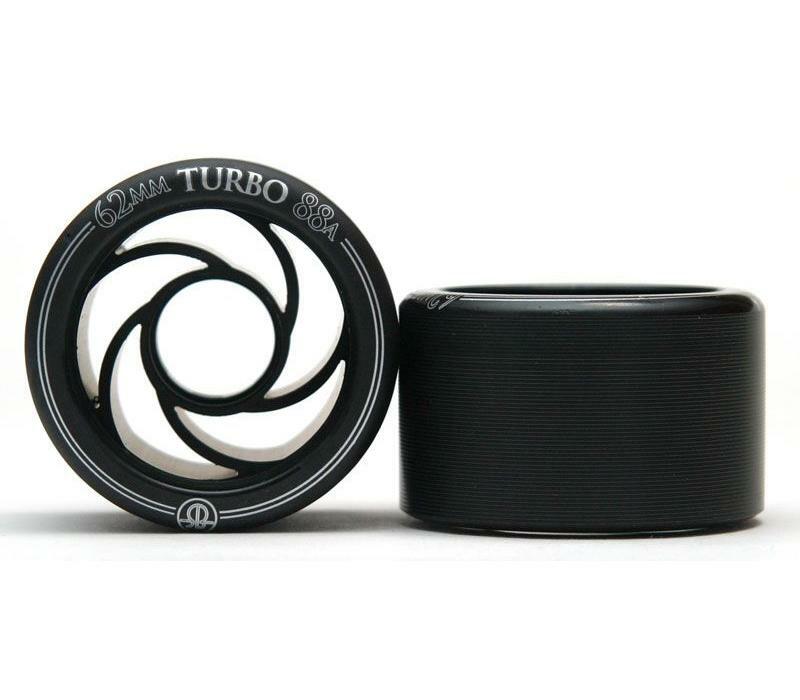 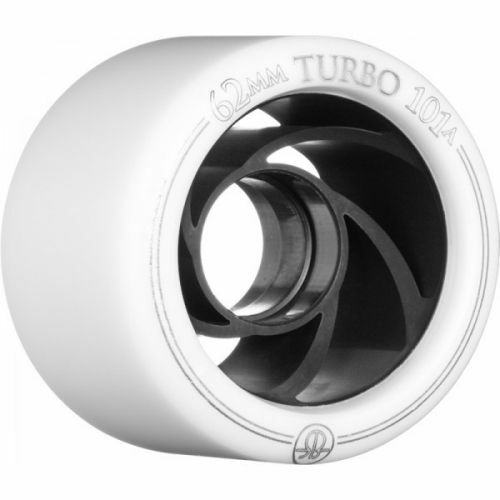 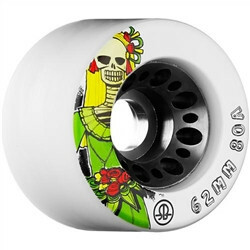 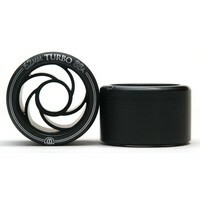 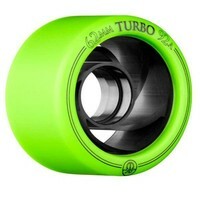 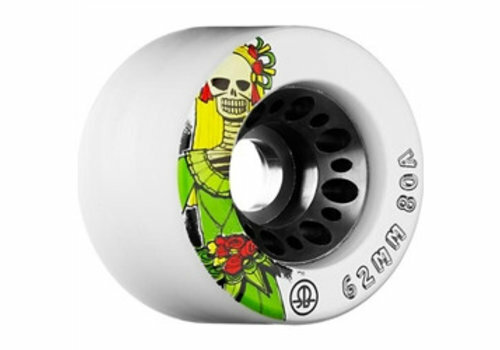 RollerBones Turbo is without a doubt and unrivaled the best wheel out there. 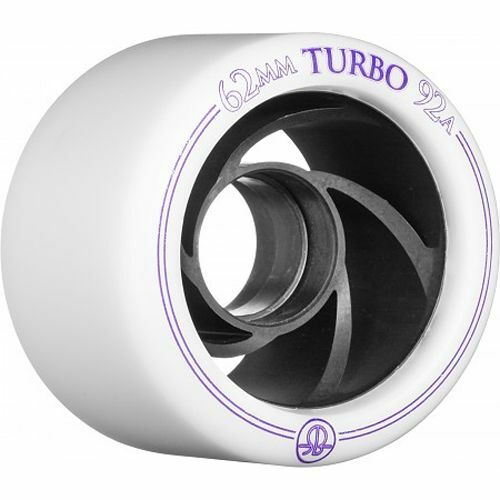 The unique urethane is poured around an oversized aluminum (yet light) hub. 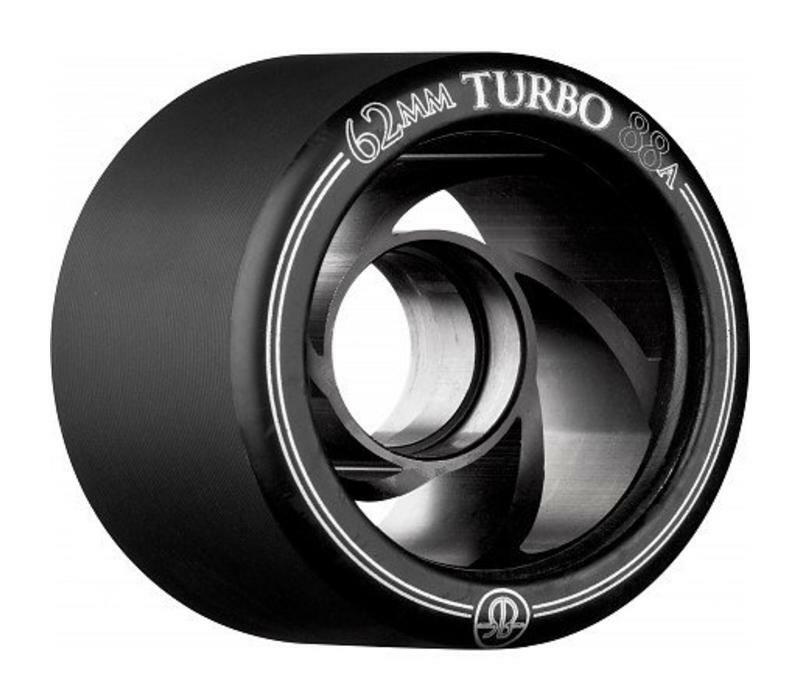 This creates precision and high performance, without sacrificing any necessary grip. 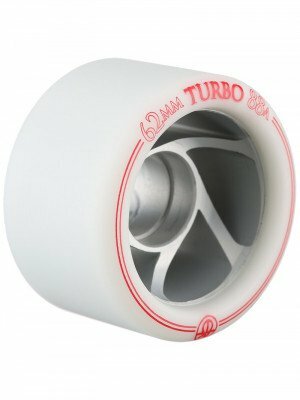 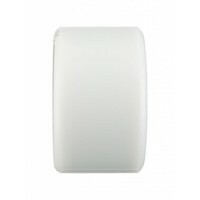 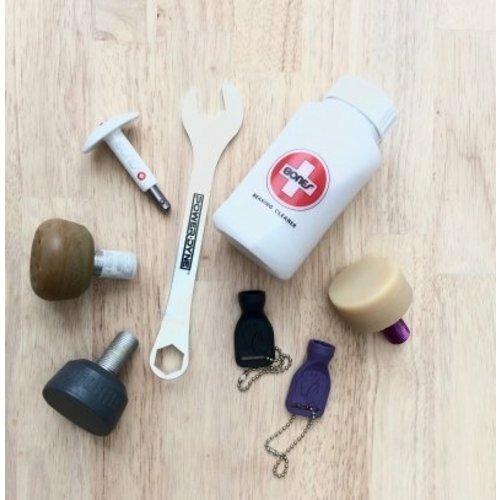 The composition of the thin urethane is unique in derby and will give you the grip (appropriate to the hardness) you need while you get the roll you love. 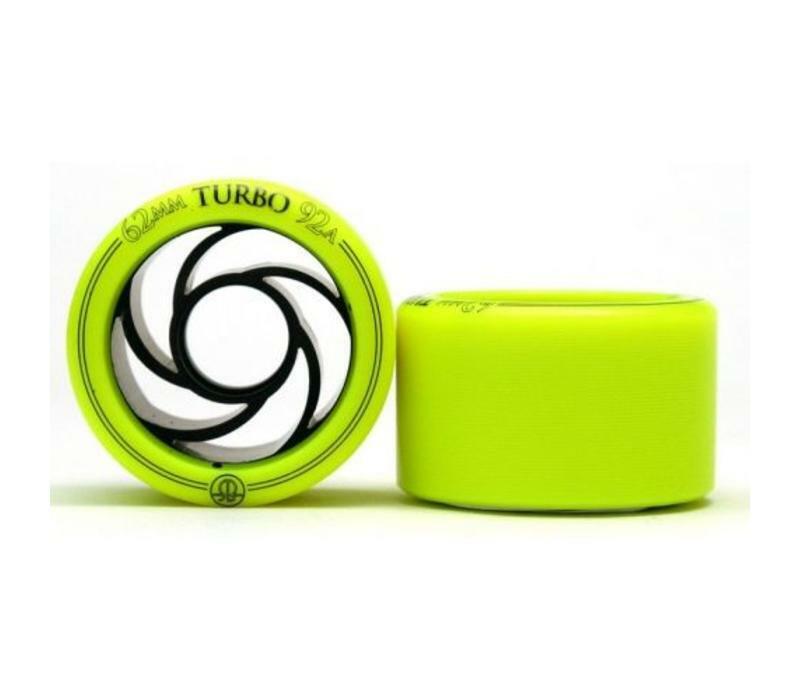 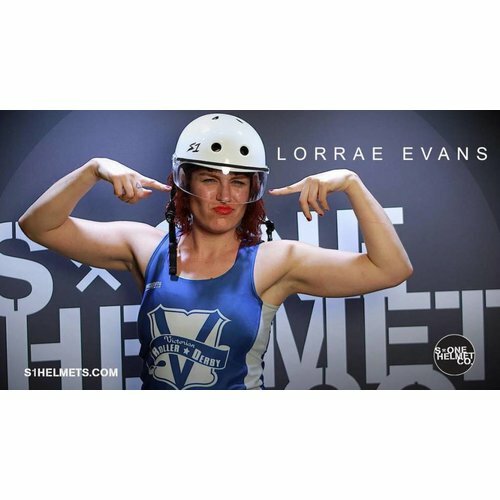 The lightweight aluminum hub is responsible for that fast and precise roll as well. 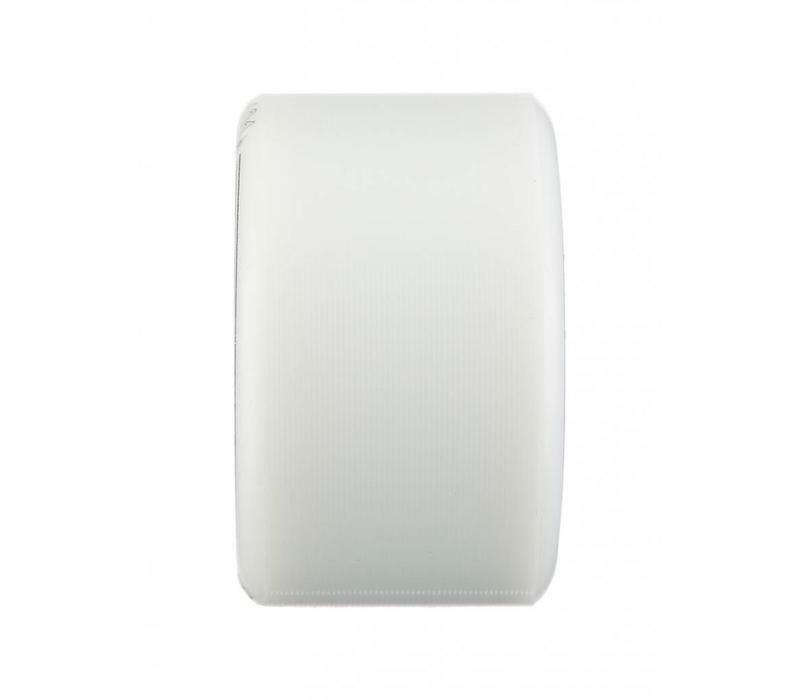 The beautiful and machined solid aluminum core offers terrific performance, energy transfer and responsiveness. 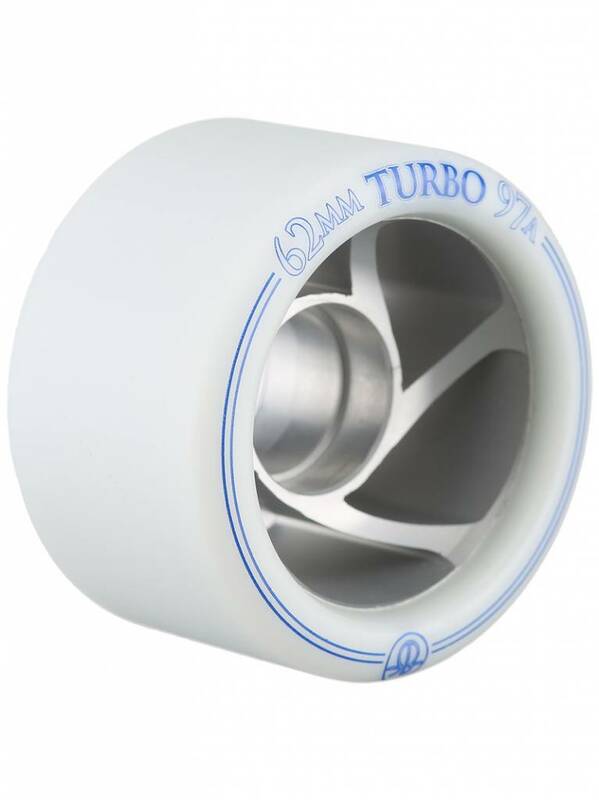 They are also much lighter than most of the other solid aluminum hubbed wheels. 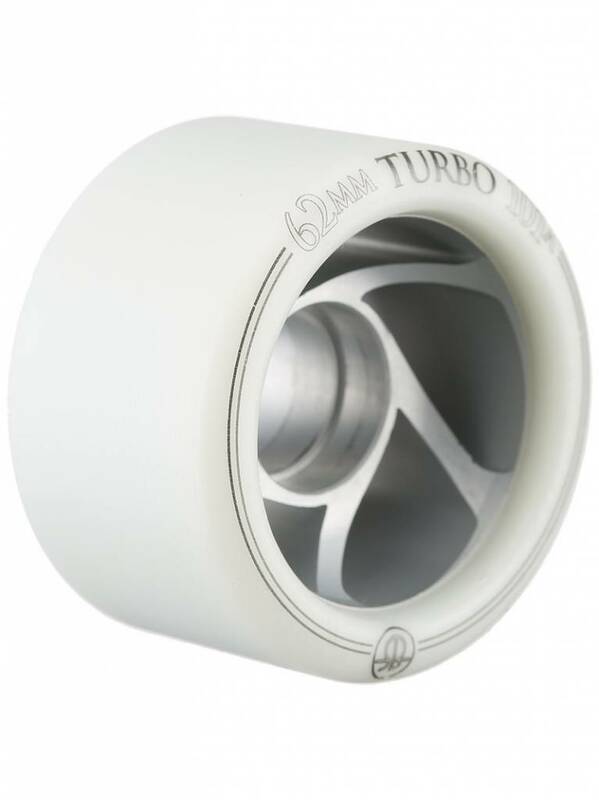 Wheels like the Atom Savant and Radar Halo also feature a thinner layer of urethane, but use a stiff nylon core. 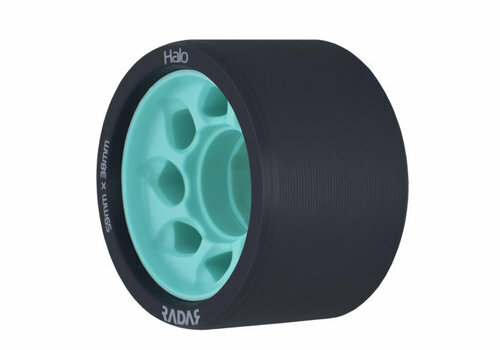 This will result in a bit more flex, and less grip. 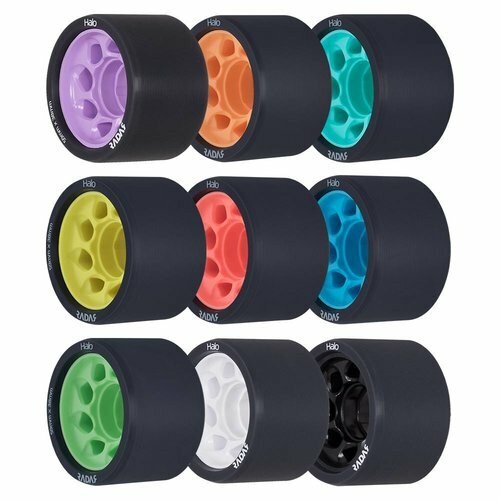 So you might have to pick a hardness softer than you're used to for those wheels. 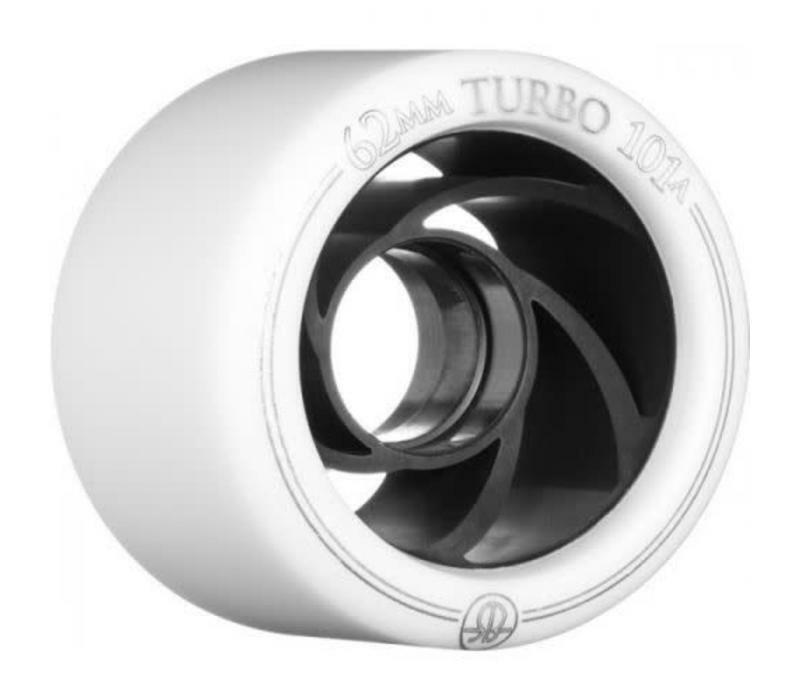 Not with the Turbo wheels, though. 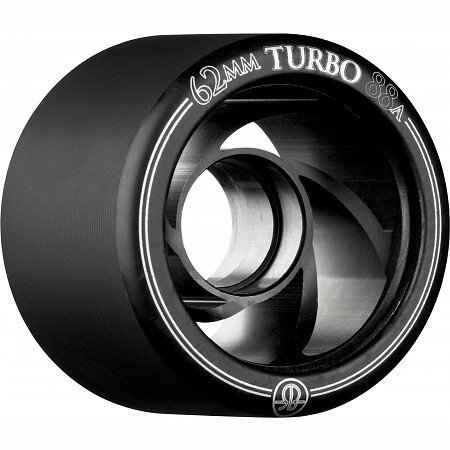 The thin tire and alu hub translate in so much speed and precision, once you go Turbo you never go back. *** Turbo wheels are hand poured and produced in limited runs. 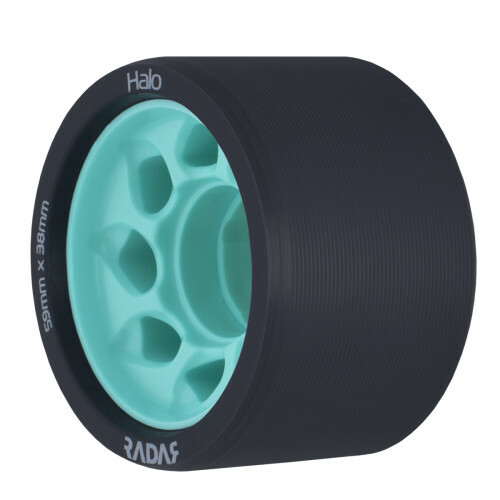 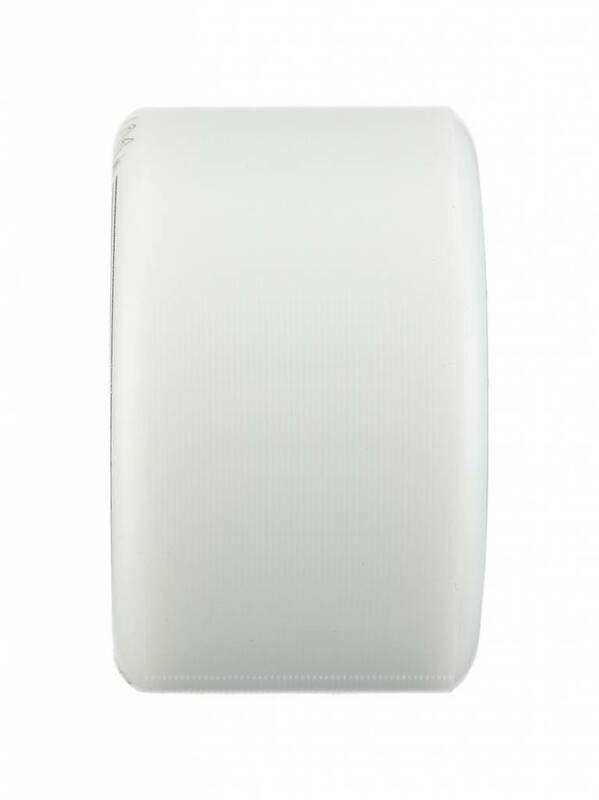 Print colors and hub colors might deviate from the product photos. 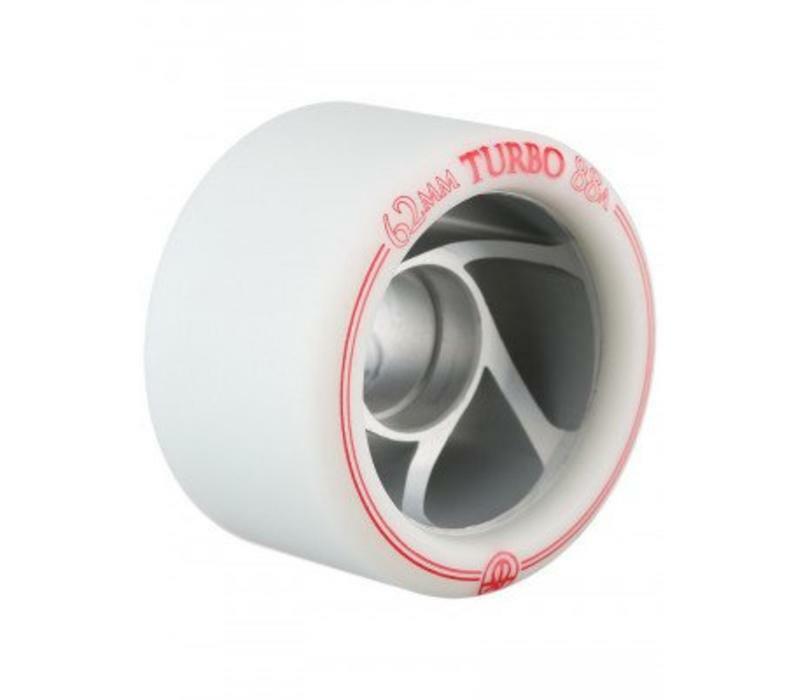 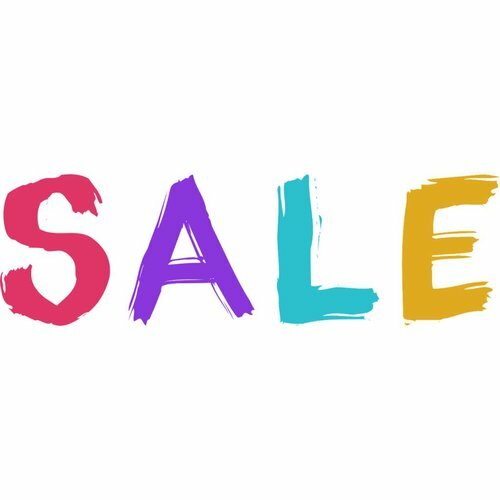 Availability is listed as accurately as possible. 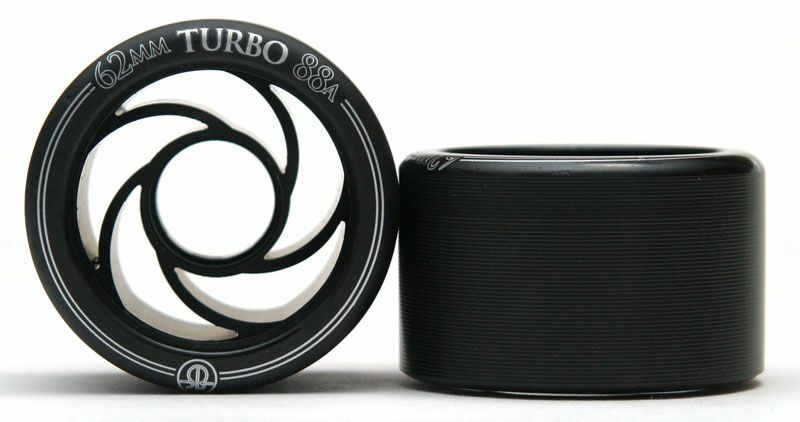 When ordering a hardness, we will ship you the wheel color available. 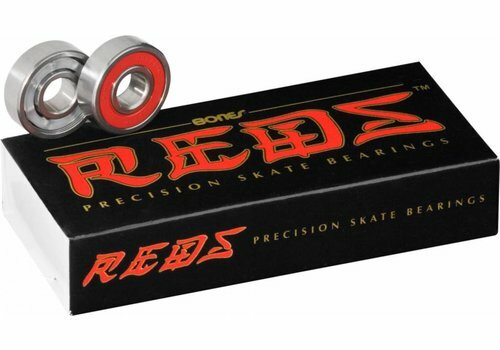 *** Precision machining allows bearings to freely rest in (and fall from) the hubs. 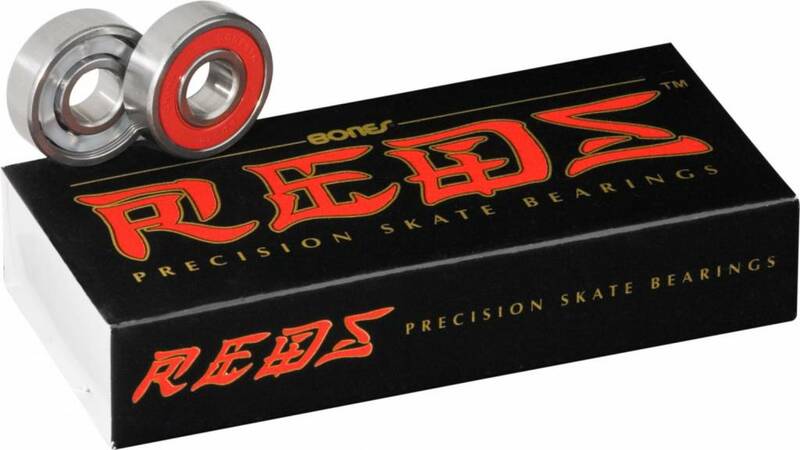 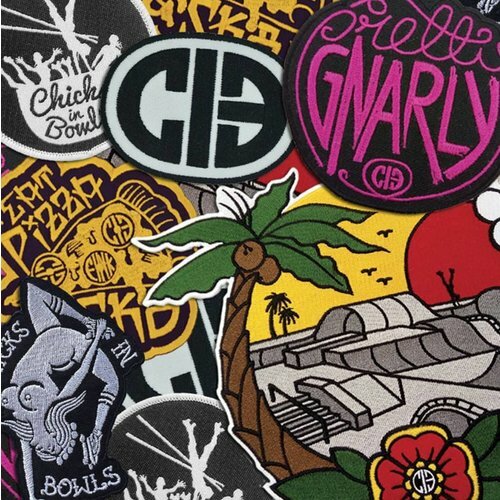 This is NOT a defect and will not impact skating. 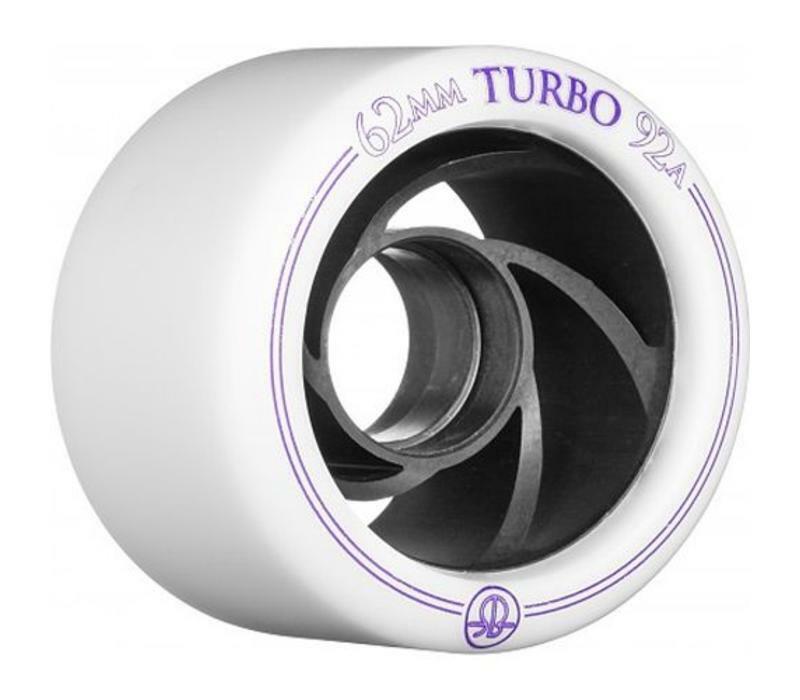 These wheels are slightly narrower than a standard wheel, but not as narrow as slims. 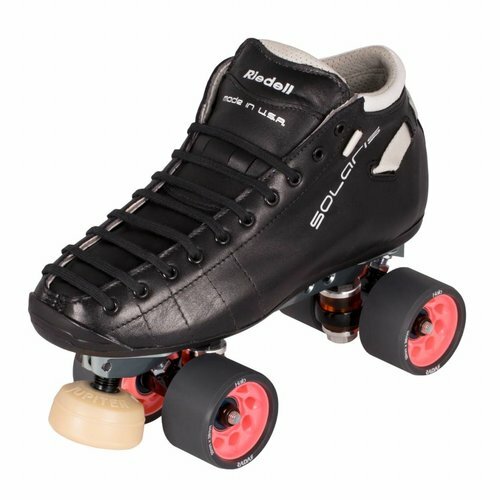 These give you a tad more agility, without losing the stability. 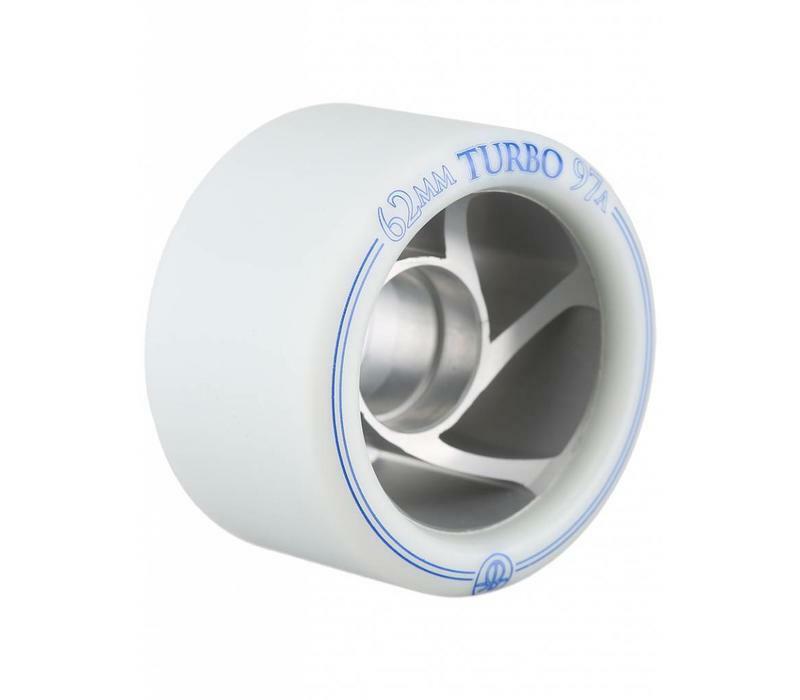 If you're thinking about changing to narrower wheels, this is a perfect stepping stone.